The International Baseball Federation (IBAF) is announcing the schedule for the V Women’s Baseball World Cup. The tournament will be played from August 10 to 19, 2012 at Telus Field and John Fry Park in Edmonton, Canada. Defending champion Japan, USA, Canada, Australia, Cuba, Venezuela, Chinese Taipei and will participate. The preliminary round in a round-robin format will be played from August 10 to 17. The top four teams advance into the semi-finals on August 18. The championship game is scheduled for August 19. On the first game day Team USA is opening the Women’s Baseball World Cup against the Netherlands. Also Cuba takes on Australia, Venezuela squares off with Japan and Canada hosts Chinese Taipei following the opening ceremony. The 2012 edition is the 5th IBAF Women’s Baseball World Cup. USA and Japan have won the tournament twice. 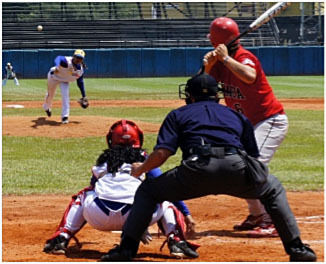 In 2010 in Venezuela Japan defeated Australia 13-3 in the gold medal game for their second consecutive title. The complete schedule is available as PDF-File. Further information will be published at www.ibaf.org in the coming months.